The Cast Key is one of the first three puzzles released by Hanayama, back in 1983. The other two were the Cast Star and Cast ABC. 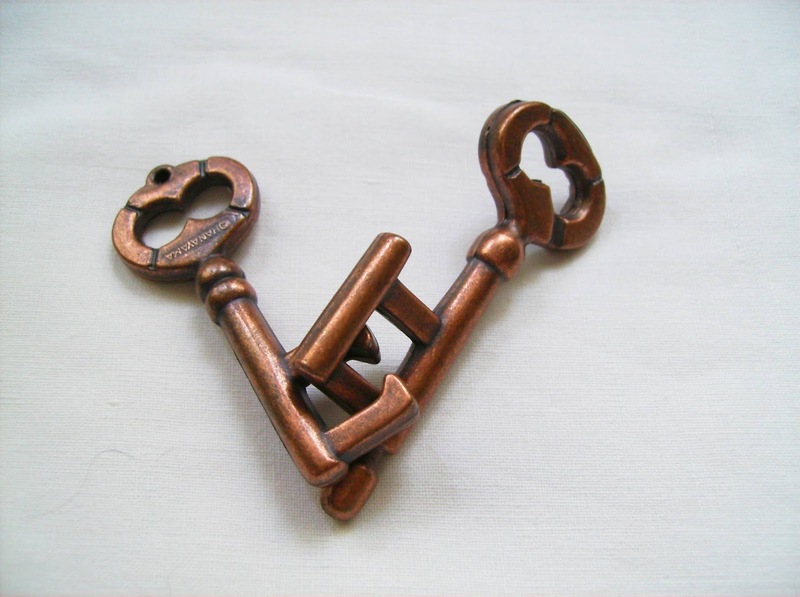 The Key puzzle originated in Britain in the late 19th century and has ever since been intriguing puzzle fans around the World. The design is stunning, as it resembles two old keys from a couple of centuries back, and they appear as if it were impossible to separate them, although a careful inspection of the keys reveals a few interesting characteristics that are "key" to solve the puzzle. Some of those characteristics are thiner passages on one of the keys, three to be exact, and they serve as a way to pass through the opening of the other key. The puzzle is one of Hanayama's easiest, rated as 1 out of 6 and 5 out of 10 by PuzzleMaster. Its looks are certainly deceiving, but its goal is pretty straightforward, even for a non-puzzler. This makes fiddling with the puzzle very intuitive and you won't need no more than five minutes to unlock it. There's no need to explain step by step the solution, but if you feel "locked", you can always download a solution at PuzzleMaster. Video: Click here to see a video solution of the Cast Key. Always regarded as a symbol of curiosity and mystery, the keys have the power to lock the deepest of secrets. It's this knowledge that kept people all these years fascinated by keys and by what they represent. For this, the Cast Key is one of my favorites from the Cast Series, and though they're one of the easiest from Hanayama, it doesn't mean that you won't enjoy solving it... I know I did. If you liked this one, then you will also love the Cast Key II, a new version released in 2006 and designed by Otake & Wong. 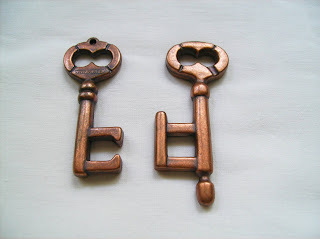 The Cast Key is available at PuzzleMaster for CAD $12.95, as well as the others from the Cast Series. The Secrets of the Heart is a puzzle from Bits and Pieces, designed by Doug Engel and sold by PuzzleMaster. 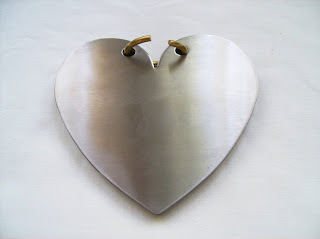 The puzzle is made by five nickel plates in the shape of a heart and a gold ring. It's quite heavy for its size, but expectable due to the number of metal plates used in the puzzle. At first glance it may look like the goal is to remove the ring, but you actually need to unlock a sliding arm from one side of a puzzle. When you do this, you'll discover that inside is a small compartment to enclose something special. As far as difficulty goes, the Secrets of the Heart is a fairly easy puzzle to solve. It's rated by PuzzleMaster as 5 out of 10, so the easiest you can get at PuzzleMaster. To open it, you'll just need a couple of minutes to inspect the puzzle: the ring functions as a locking system and you just need to rotate it from one side to the other, in order to allow the arm to slide off the puzzle. Returning the arm to its position is even easier to do, because you already know the secret to open it, so you just need to maneuver the ring appropriately to close the heart again. 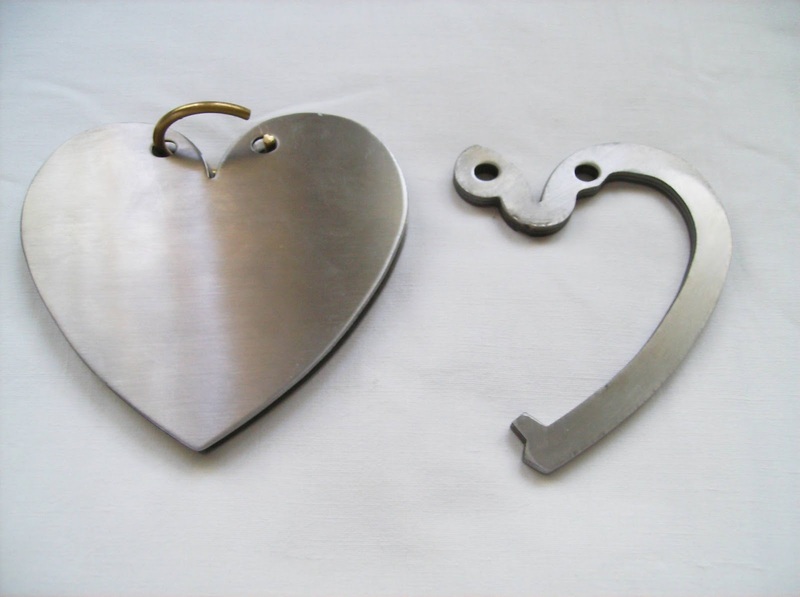 As an experienced puzzler, you won't find the Secrets of the Heart remotely challenging, but it's definitely a must for a collector, especially if you're into metal puzzles. 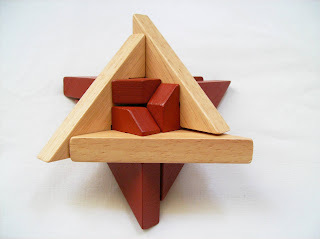 It's very different from what you're used to see in puzzles and on top of that, a simple and beautiful design. The Secrets of the Heart is available at PuzzleMaster for CAD $14.99. 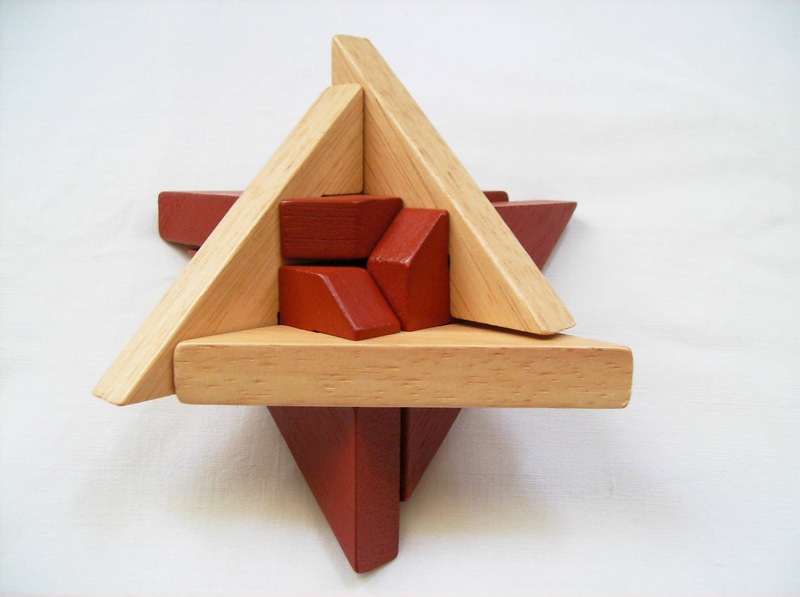 The Star of David is yet another puzzle produced entirely and sold exclusively at PuzzleMaster. 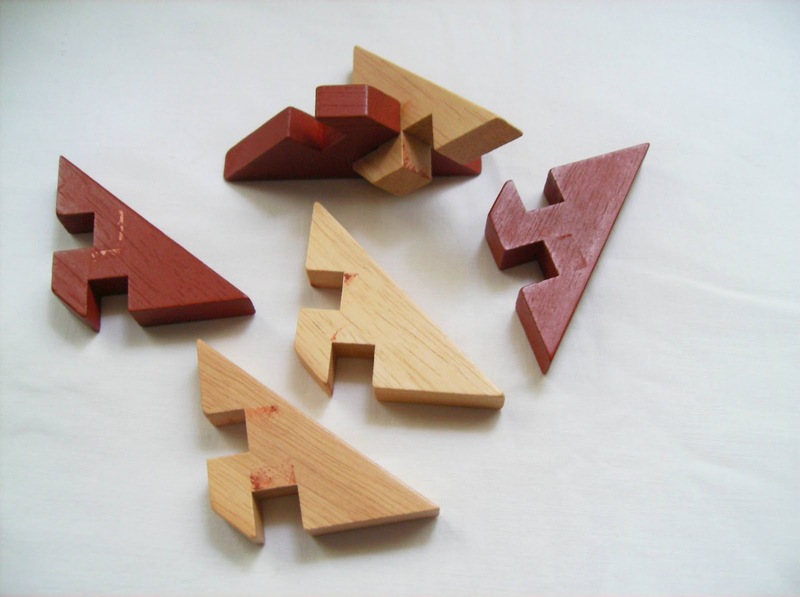 For many more PuzzleMaster's wooden puzzles, check the following list. The name of the puzzle comes from the resemblance, in shape, to the Jewish symbol, known in Hebrew as the "Shield of David", which is a hexagram composed by two equilateral triangles. The design is cleverly done with the use of two different wood colors, enhancing the beautiful contrast seen in the middle of both sides. This easy technique of using two or more colors of wood can maximize the elegance of an otherwise simplistic design. 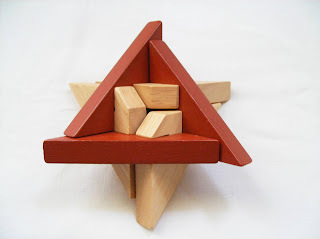 The object of the puzzle is to separate all of the six interlocking pieces, but it's not actually as easy as it looks. PuzzleMaster has its level of difficulty rated as an 8 out of 10, so it does need some thinking in order to successfully solve it. If you're familiar with the technique known as "coordinated motions", then you're half way there... This solving method requires a simultaneous manipulation of the puzzle's pieces instead of a simple sequence of movements. You do need a careful maneuvering of the puzzle, because its pieces are fragile and easily breakable, especially the internal parts, which are cut in a way that may come apart with excessive force. Spoiler alert: The secret in this puzzle is to separate the puzzle in two parts of three pieces each, and then separate the remaining ones, one by one. One thing I've noticed after solving the puzzle was that, the parts where the pieces fit into one another had spots of the opposite color marked on them. I suppose this was due to the fact that the colored pieces weren't completely dry when the puzzle was assembled. A proof of that is that I was unable to separate the final two pieces, because they were actually glued together, and with the fear of breaking them, I just photographed the pieces like this and assembled them back together. The Star of David is available only at PuzzleMaster for CAD $11.99. If you have a new mechanical puzzle and would like a review for it, contact me. Or here. Robert Sends a Twofer Which Scares Me!